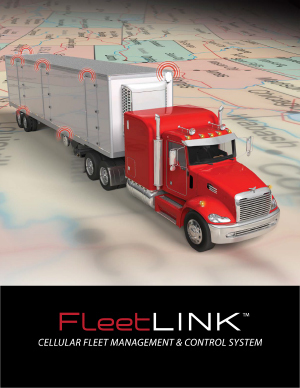 FleetLINK™ uses cellular network technology to control and monitor trucking fleets nationwide. 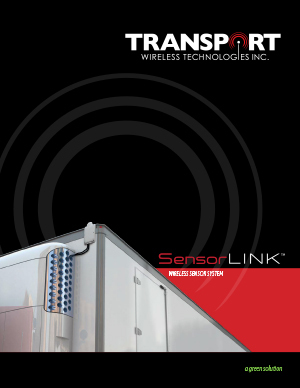 SensorLINK™ is a wireless sensor system used in place of wired sensors to monitor door openings and/or fuel level. The system is capable of monitoring up to 4 doors (three zones) and 1 fuel tank per trailer. The wireless sensors transmit to a receiver module installed inside the unit control box. The receiver module provides output signals that can initiate microprocessor functions and/or data logger events (if equipped). The system has an independent output that can turn on an optional light and/or audible warning device in the event of a low fuel situation. 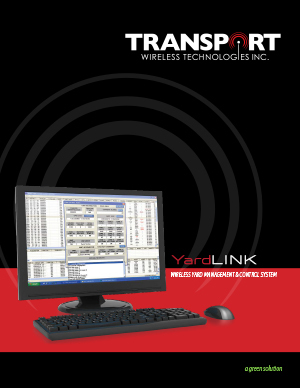 YardLINK™ is an entire system designed to monitor yard operations from a centralized location. This system allows for passive monitoring and active control of pre-cooling units. YardLINK™ also logs data allowing you to spot trends that allow management to reduce waste and increase efficiency.